If you tend to shy away from negotiations you’re not alone. Many women do. So I sat with a negotiation expert to find out some negotiation tactics and insights we could all use. Read on! 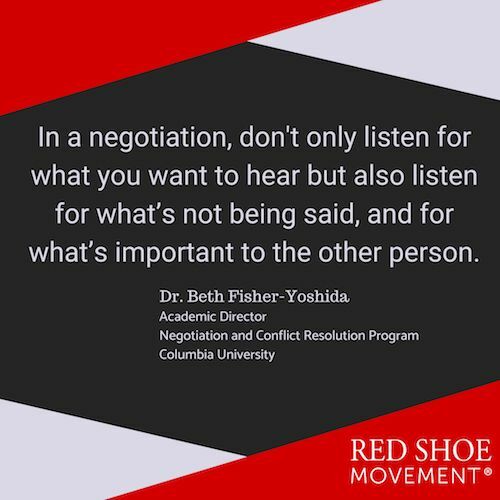 If you had a chance to pick the brain of negotiation expert Dr. Beth Fisher-Yoshida, the Academic Director of the Negotiation and Conflict Resolution program at Columbia University, what would you ask her? Leave your question in the comments section! I chose to focus on proven negotiation tactics that women don’t usually take advantage of. Granted, Dr. Fisher-Yoshida wears many hats. 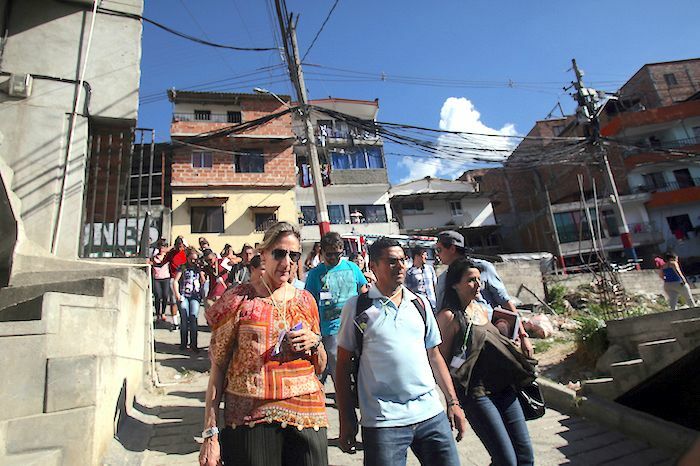 She’s the Co-Executive Director of the Advanced Consortium on Cooperation, Conflict and Complexity (AC4) and the Director of the Youth, Peace and Security (YPS) Program, both housed in the Earth Institute at Columbia University. She also has her own consulting firm, Fisher Yoshida International which leads organizations through change by improving communication and aligning their mission and vision. But negotiation seems to be weaved into all her activities. Negotiation advice and insights for women from one of the leaders in the space. Mariela Dabbah— You have a Ph.D in Human and Organizational Systems and an M.A. in Organization Development from Fielding Graduate University, and an M.A. from Teachers College, Columbia University. At what point in your career did you decide to become a negotiation expert? Beth Fisher-Yoshida— It was early in my career. I started my work in negotiation while doing cross-cultural communications while I lived in Japan. There I learned intercultural communications and conflict resolution. 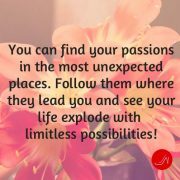 I had started my career in Special Education but realized that I wanted to advance beyond being a teacher. I was interested in working with people, not in advancing as an administrator. So I started to work with adults in learning and development in Japan where I had gone to learn art. I became involved in intercultural communications, moved into working with adults in organizations. And then I went back to school for my second masters and my doctorate. I find that intercultural communications, conflict resolution and negotiation are overlapping areas. 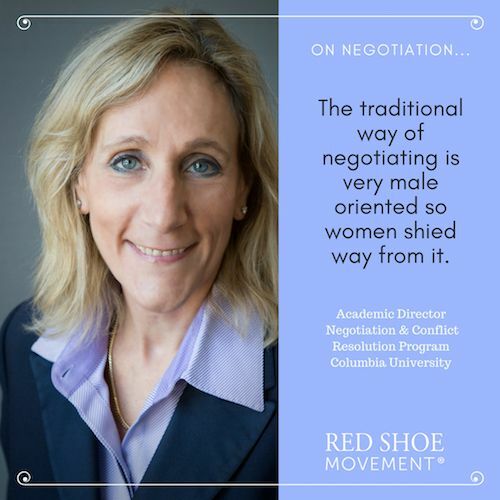 MD— Why do you think negotiation has always been a sore subject for so many women? I confess that for a long time it was a difficult topic for me too. BFY—I think there’s a stigma attached to it. Women are fearful of it because the traditional way of negotiating is very male oriented so women shied way from it. They didn’t think they were good enough for it. It had an image of you have to be tough, play hardball tactics, bang on the desk with your fist. It’s counter cultural to how women were raised to be: Nurturing, empathetic, consensus builders. But it doesn’t have to be that way. Many women are naturally inclined to build relationships. So if I think of negotiation as a way to build relationships, I have a natural tendency to negotiate. It’s all about how we frame it. Men and women in some way can use the same negotiation techniques and in some ways not, because their behavior is not understood the same way. When a man is tough, it works. For a woman it comes across as a being the “b” word. Don't miss: 3 Key Negotiation Strategies for Women! MD— What situation comes to mind when you think of one of the most difficult negotiations you undertook through your career? Another example. I’m an expansive thinker, I like to brainstorm, and to me, rules are something to be looked at but with which you can be flexible. So for me, a challenging negotiation is when I work with people who think rules are very strict. They become very stubborn about sticking to the rules and they become contentious when they see you’re trying to be more flexible. Unless I back down and take a strategic look, the negotiation will stall. They feel backed into a corner and they need to defend their honor or principles, and when people are not relaxed their brain becomes more rigid. A good sign to look for is when someone repeats something over and over. It means they are not listening any more. They may feel threatened and they feel they need to defend themselves. They lose ability to entertain possibilities. This is called cognitive rigidity. They get stuck in a certain mindset. Earlier in my career I would’ve continued to push my agenda. Now, I know that I have to take a step back. My suggestion is first, try not to create that scenario but if you see the negotiation going that way, back away from that scenario. It can be even worse when you both go into a space of rigidity. MD— Could you highlight for us some of the most successful negotiation tactics you’ve seen? BFY— Let’s look at a few. 1Relational orientation. One of the most successful negotiation techniques is a willingness to collaborate. When people are attuned to what they want and what others want in the negotiation and everyone wants to be flexible on how you come to an agreement. There are different ways of getting there and it’s a question of exploring what works best. They care about the other party because they want to have a long- term relationship. Relational orientation is a very successful negotiation tactic to keep in mind. 2Manage your emotions. If there’s a situation where people are getting emotionally elevated, they are losing their perspective or their calmness, a good tactic is to disturb that moment. Practice breathing and mentally or physically (suggest a ten-minute break) separate from the situation and come back to it. Stop it from escalating out of control. 3Good listening. Listening at multilevels. Not only listen for what you want to hear but also listen for what’s not being said, and for what’s important to the other person. Ask yourself: “What’s going on here? What do I really want to know to open up the other party?” People reveal more than they think. If you listen well, you’ll find out a lot. Ask the right questions. Not just the yes or no kind of questions. 4Preparation. Most people don’t take enough time to prepare. They want to wing the negotiation. As long as things go a certain way you are okay but if they detour you don’t know how to do deal with the situation. If you prepare backup plans you can turn the negotiation in several different ways. Otherwise you get stuck and then you walk away frustrated. You waste an opportunity to build the relationship and have a good negotiation. 5Clarify the issues you’re negotiating. Sometimes we think we are here for the same issues but we may not. At the beginning of the negotiation set the scope to make sure you are negotiating the same issues. Sometimes junior women in their careers have said to me “I didn’t know I could negotiate that.” It’s important to know what’s negotiable for you and for others. And you learn what those boundaries are for yourself and for others. When you hit a wall and you’re offensive to the other person, you need to know what that person’s boundaries are so that you don’t continue pushing and closing the door. 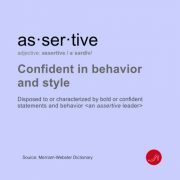 MD— If you had to say which negotiation tactics women tend to shy away from, which ones come up? BFY— Women tend to shy away from negotiations when they start to tell themselves they are not experienced enough, or not good enough so they don’t challenge themselves or the other party. They want be nice, they don’t want to ruffle feathers. So it’s about asking for what they want but also about how they ask. Men and women can’t assert themselves the same way. Women have to find their voices. They shouldn’t sound like they are whining or getting emotional when they ask for what they want. 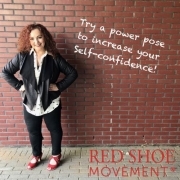 It’s hard for women to have a strong self-advocacy because they don’t want to sound as bragging or egotistic (even if they qualify for whatever they are asking.) They want to be noticed without having to brag about themselves. But the truth is that they won’t. Other people will pass you by. Another area where they shy away is if they are working mothers they don’t want to be seen as not carrying their weight. So they don’t ask for any accommodation in order not to be seen as weak, even if it’s at the expense of burnout. Some women feel that if they ask for accommodation they are side tracked. It depends on the organization. Take our Negotiation Skills Quiz! 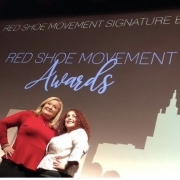 MD— You are the Academic Partner of the WIN Summit in New York City, which focuses on helping women learn negotiation tactics, so you obviously believe this is a learnable skill. 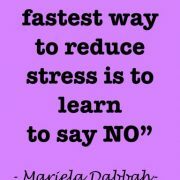 What would you say is the first step women can take to shake off their discomfort around negotiation? And then, what is a good way to learn some of these key negotiation tactics you talk about? BFY— Everything starts with self-awareness. Start focusing on all the things you have accomplished and the things you know how to do well. 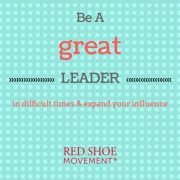 Know your strengths, your impact on other people, and acknowledge your achievements and your success. Focus on all those great things you did that allowed you to get to this point in your life. Then you can look at what holds you back. More often than not it is the lack of awareness of what you’ve done. Then find negotiation techniques that fit with what you know and with your personality. Start small, negotiate with people you know, identify what you did well and build your confidence. Reframe for yourself what negotiation means. People negotiate all the time. As long as you get scared about what you think negotiation is, you’ll avoid it. But if you deconstruct what it means and you realize you’ve already been doing it for a long time, it will be easier. A good negotiation tactic is to listen to what’s not being said. MD—You work with clients helping them develop customized interventions to improve the organization’s performance. What is the role of negotiation in an organization? BFY—In the workplace there are formal and informal negotiations going on all the time. The obvious formal negotiations are: Title change, promotion, salary increase or if you are in procurement and you negotiate with a vendor. Then there are all the informal negotiations you do all day long. 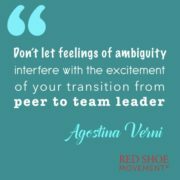 You are part of a team and you negotiate work assignments, responsibilities and deadlines. You build relationships with other teams and negotiate with them too. People who don’t negotiate well, don’t do well in all of these daily situations. It’s a lot about communication. I take the negotiation principles and apply them to communicating effectively to get what you want. I don’t need to call these situations “negotiations” but you need to understand the principles and practices of negotiation in order to function effectively in an organization. Especially when organizations are going through change management. When they need to implement new procedures, and people resist and push back. They’ll say “we’ve always done it this way” and they don’t want to do it in a different way. It’s a negotiation to get them to change and communicating effectively is part of it. This is a different kind of negotiation because you’re all working at the same organization and you are all there to fulfill its goals. You need to figure out how all the parts work together towards those goals. Identify what each part needs and how you’ll make it all work together. MD—Do different cultures use different negotiation tactics? Could you give us an example of how Latinos might negotiate with Anglos, for example? BFY— Different cultures manage personal and professional relationships differently. Some groups need to build first the personal relationship so they can trust you, like Latinos or Japanese. Whereas Americans first want to negotiate and then socialize. This is the efficiency model. But for people with a different concept of time, building the personal relationship can take a long time but then the decisions can be made quickly because they know you. The concept of saving face is different in different cultures. In Japan for instance, you need to go around to everyone before the meeting and make sure to get their support before you speak at the meeting. Nobody likes a surprise at the meeting. So by the time it comes around it’s just an opportunity where everyone is agreeing to agree. Here in the U.S. people can go into a meeting and brainstorm ideas, be creative. In Japan people won’t take the risk to be creative because they don’t want to be criticized or come across as being different, or make others feel uncomfortable. And if you have a more senior person in the room you don’t want to step on their toes. There’s a lot more sensitivity toward “the other” in Japan than here. Here, if I want something I’ll say it. If I step on your toes, I’ll say sorry but I’ll still move forward with the idea. In the U.S. you may see some of that orientation towards other in women who are relationship oriented. MD— You have a new book coming out on this very topic of women and negotiation. Could you give us a small advance on some of the book’s highlights? BFY—I’ve interviewed women about their experience negotiating in and out of the workplace. I was interested in how they developed their negotiation orientation. What influences in their lives shaped the way in which they negotiate. How they model the way they negotiate. 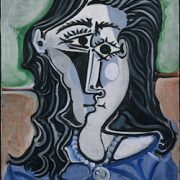 MD—What influences did you receive? BFY— I always pushed myself not to back down. I felt that if you don’t try something that feeling would grow and get trapped in you. I always admired people who asked for what they wanted. For example I had an art teacher when I was 12 and she had a nice way of deflecting questions she didn’t want to answer without offending people. She negotiated that communication very well. You could feel her boundaries. Then there were women along the way that were role models. I saw what they were able to accomplish. And I also didn’t want to be the person who was silenced or lost confidence. I always pushed myself to accept challenges and figured out how to do things afterward.